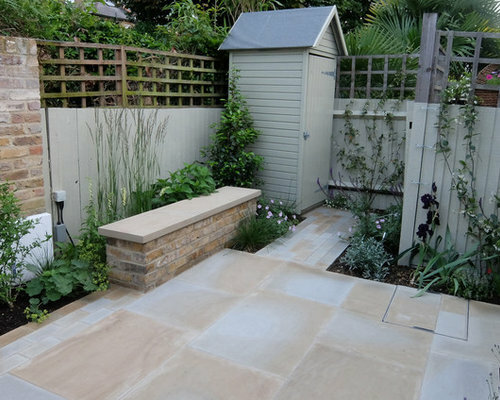 A tiny L shaped courtyard garden was paved with yorkstone paving and setts. 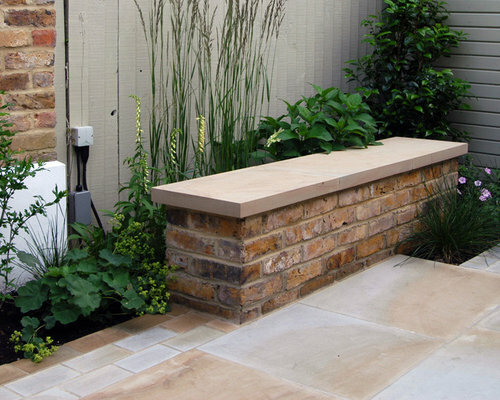 A brick bench was added to complement the existing brick feature wall and the boundaries and shed were painted pale grey. 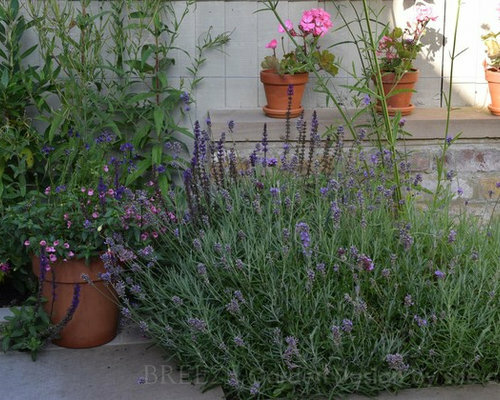 Planting includes evergreen shrubs and climbers, and some perennials and grasses for seasonal accents. 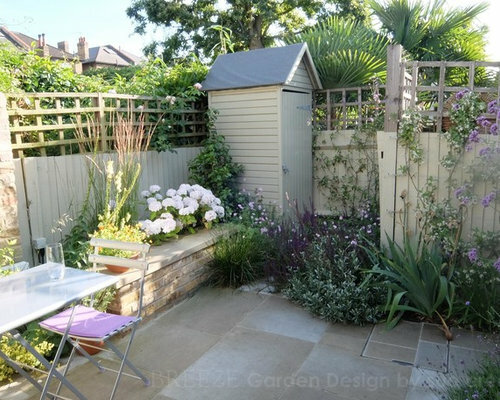 Tiny courtyard garden in Ealing - an interesting shape - with space for a sentry style shed. 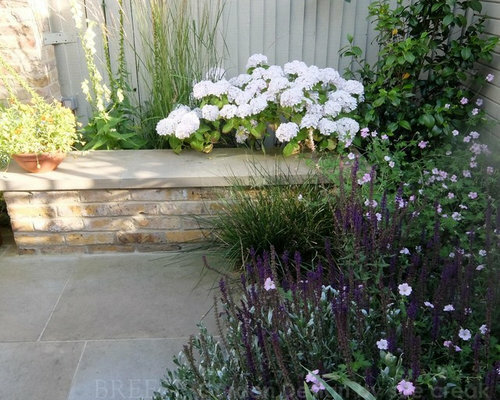 There was an original brick wall in one section, so we added a reclaimed London stock brick and stone bench to match, and York stone setts and matching paving. 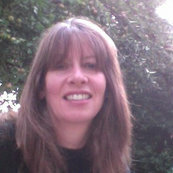 This photo was taken when newly planted. Brick bench and yorkstone paving and setts. 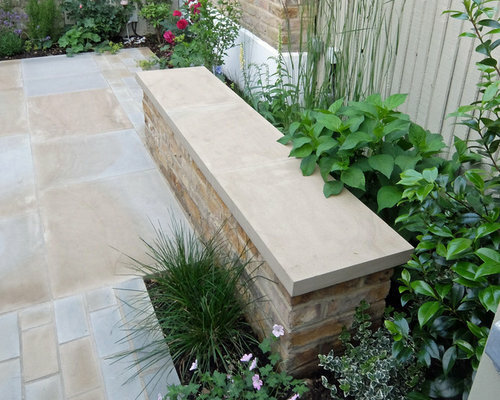 Brick bench and yorkstone paving in small courtyard garden in Ealing. 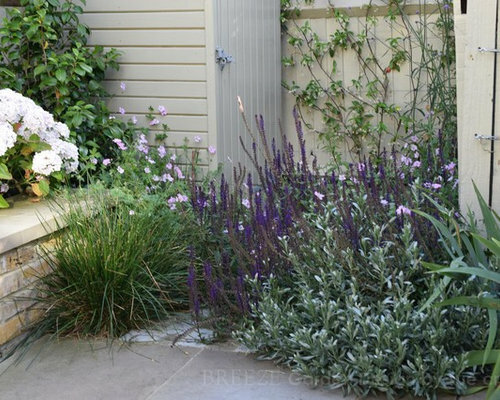 Mix of evergreen shrubs, and some perennials and grasses for seasonal interest. 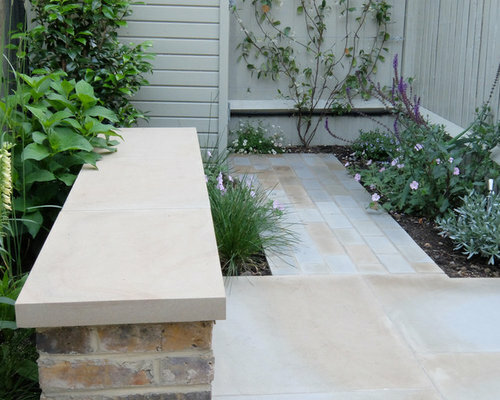 Brick bench and yorkstone paving in small courtyard garden in Ealing. Calamagrostis Karl Foerster, Digitalis lutea and Alchemilla mollis seen here. This was the garden a year later, when everything had grown really well. This was the garden a year later, when everything had grown really well. Features york stone paving, an original brick wall, and a new matching brick bench, and small sentry box from Jacksons for storage. This was the garden a year later, when everything had grown really well. 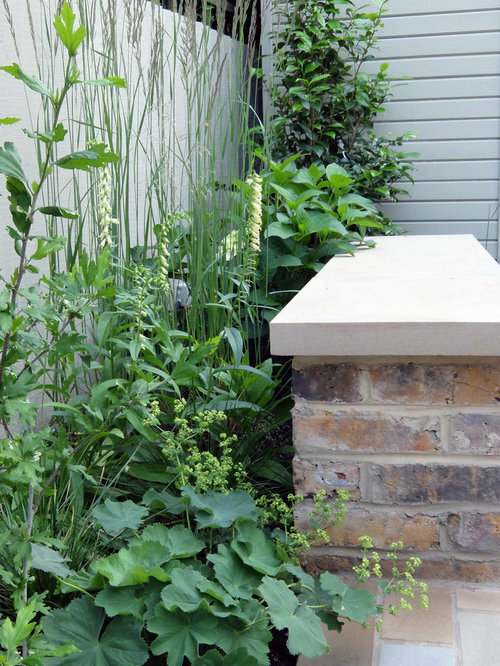 Hydrangea Madame Emile Mouliere, Calamagrostis 'Karl Foerster' and Digitalis lutea give height behind the bench.